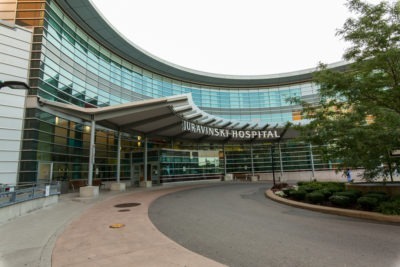 The Thrombosis Clinic at the Juravinski Hospital is both an outpatient clinic and inpatient consultation service. The team in the clinic provides care for the prevention and treatment of blood clots and for anticoagulation issues. Nurses follow patients from their inpatient experience through to discharge and while they are at home to provide continuity of care. Patients in this clinic are also able to benefit from or participate in a number of different research studies. Please make sure you have the correct location details before coming to your appointment. You may be looking for the thrombosis clinic at McMaster University Medical Centre or Hamilton General Hospital.